I don’t even recall how the argument started. Somehow a simple text message morphed from a few sentences to an arrow that found its mark, spearing into an area that was still inflamed from other hits. You know how that happens. A few words conjure up deeply-held emotions, past hurts, yet unspoken pain. We worked it out, my friend and I, and our friendship survived and deepened because of it. At the end of one difficult conversation, he said something that stuck with me: “Skip, you may think you’re fully transparent, and I guess in some ways you are. But,” his voice trailed off. I waited, wondering what the next words would be. For many years, I’ve told the people who work for me that asking for help is a sign of strength, not weakness. Keep reading to see my personal request for help. I can’t tell you how appreciative I am for the assistance. I prefer to give—to be someone who serves. When I was a teenager, I worked in a restaurant and just felt better when I was the one pouring a drink rather than sitting there getting served. It just makes me comfortable. I’d rather host a party than attend one. So you can’t judge the “why” behind someone not asking. 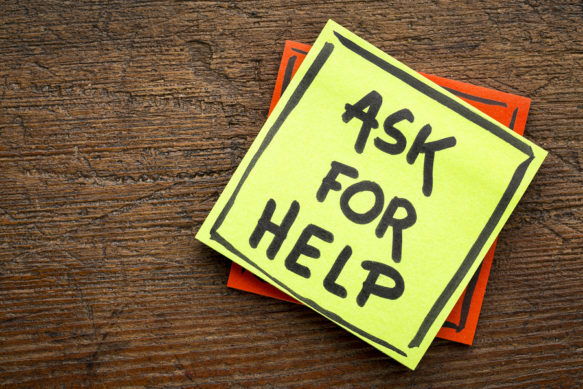 Learning to ask for help just seems harder for some people than for others. When others ask in a polite manner for something, I’m in awe. It impresses me. I guess because it’s hard for me to do. And it’s a crucially important leadership skill. Keep reading to the bottom and see what I’m asking. Nadeem Aslam writes, “Pull a thread here and you’ll find it’s attached to the rest of the world.” As I ask you to help me, I’m increasing that attachment to you and to others. Well, not yet, or you won’t know what I’m asking. I want you to remember Thanksgiving dinner as it was in your childhood. If you’re not from the United States, or you didn’t celebrate the holiday, then you may need to suspend reality and make it up. If you had awful Thanksgivings, you may want to imagine the one you wanted. Okay, try it. Now close your eyes and imagine early Thanksgiving dinners in your home. The laughter permeates the room. My sister’s voice is unmistakable, but I can’t hear what she’s saying. My brother is playing the piano, not the classical pieces his teacher wants him to play, but some rock song. My other sisters are playing a game. The TV is on in the living room. There are a few friends visiting and, as often is the case, a few that have nowhere else to go. Our home, I’ve decided, was built on a secret geological magnetic force. Perhaps that’s why the military has testing grounds nearby. It must be some top-secret location because the magnet attracts all sorts of people to our home. There doesn’t seem to be any rhyme or reason to who. Not the same age. Gender. Race. I suppose that one commonality is that they are all searching to belong somewhere, anywhere. Well, look no further. We accept everyone. No judgment. Perhaps we will judge you if you don’t eat, drink, and laugh with us. It’s rare that I’m so silent. I’m not usually an observer here, but a full-on participant. I guess when you’re imagining everything, then you aren’t watching yourself. This little exercise has me thinking, though, about many things in my past. I personally choose to think about the positive. Any negativity is something I choose to erase. Or, better yet, like an old cassette tape, I just record right over it. As I open my eyes, I’m transported back to today. 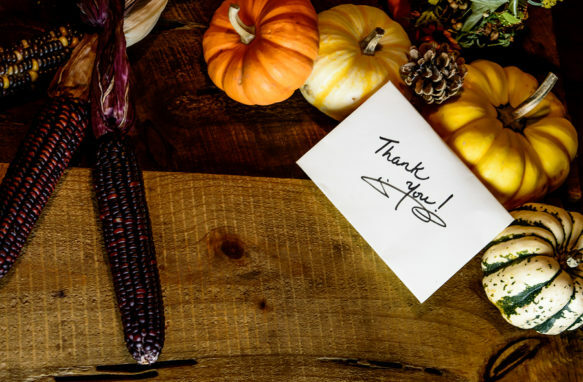 How do you experience the spirit of Thanksgiving? How do you get all the lessons you can from the time with your family? Let go of the negative. Most of the gratitude exercises I read about don’t start here, but this is what works for me. I can’t be grateful for something if the voice in my head is whining about something else. Literally I imagine things disappearing, minimizing, or flying away. Know that any negative experiences of the past happened for a reason: to build character, to make you who you are, or for you to just realize how things are better now.